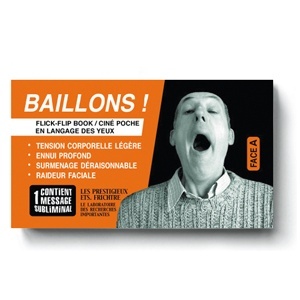 Home>FLIP-BOOKS>Photos>Flipbook : BÂILLONS ! - DORMONS ! You can’t sleep ? Sleeping pills have no more effect on you? Then, test this flip-book urgently! You can’t sleep ? Sleeping pills have no more effect on you? 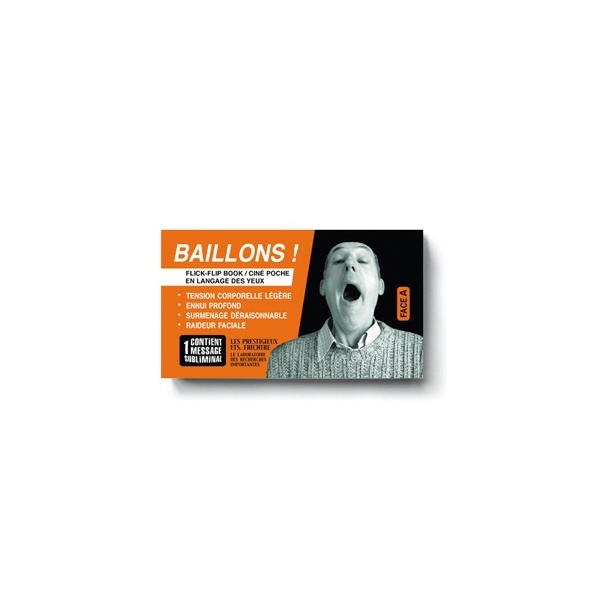 Then, test this flip-book urgently : thanks to its 2 animations (containing each one a subliminal message), you will obtain quality yawns and sleep, at a ridiculous price !